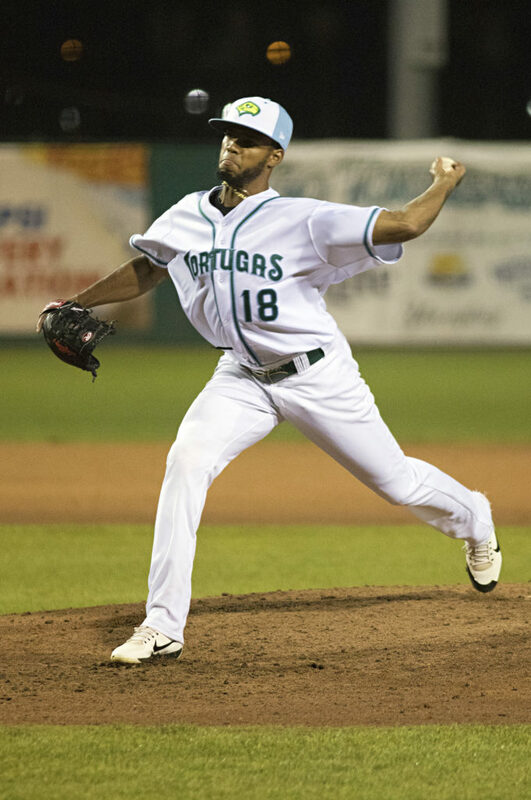 Pitcher Juan Martinez has spent nearly seven years in the minor leagues and his routine for practically every game day has remained the same: get up early, take a shower, drive to the team’s stadium and eat a bit before warm-ups. Throughout his career, the Dominican-born pitcher has struggled with low wages and difficulty mastering English. But Martinez persists, with dreams of reaching the big leagues so he can buy his mother the home she has always wanted. Martinez signed with the Cincinnati Reds as a free agent in 2011 and played for several teams in the minor leagues, including most recently, the Pensacola Blue Wahoos. Like many other Latin-American born minor league players, he has faced struggles that are unique to those born outside of the United States. According to The Guardian, half of all minor leaguers are Latino. Many of these players are unable to speak English as fluently as they can speak Spanish. As a result, some of them have a much more difficult time in the minor leagues than their English-speaking counterparts. On top of language barriers, these players also have to deal with the hardships and financial struggles that come with playing in the minor leagues. In this hierarchy of professional baseball teams known as Minor League Baseball, players try to work their way up the different minor league levels to get to the highly coveted major leagues. Every franchise in the minor leagues has a network of different teams primarily used to develop talent. These leagues are also made up of players signed as free agents or players drafted straight from college in the minor league draft. This was the case for Eric Sim, a former pitcher from Canada. Sim and his family moved from South Korea to Canada when he was 13. He later played for Colby Community College in Kansas for two years before transferring to the University of South Florida where he was drafted by the San Francisco Giants as a junior in 2010. He played across the minor leagues for six seasons before being released by the Salem-Keizer Volcanoes in 2015. He’s stopped playing professional baseball since then. According to Statista, the average player salary in Major League Baseball was about $4.52 million in 2018. In comparison, players in the minors can only earn a maximum of $1,100 a month during their first season. Mike Ashmore, a reporter who currently covers the Somerset Patriots and covered the Trenton Thunder in the minor leagues from 2008-2013, said players often have to take up other jobs during the offseason to make ends meet. He said there was even an instance where a player named Edwar Gonzalez, had a side job during the actual season. While some teams allow their players to work other jobs during the season and training, others are much more hesitant in having their players do work other than baseball. Sim said he’s been through experiences where managers would call out players for working other jobs. They would actively discourage it in front of everyone, but Sim said most players still had offseason jobs anyway. Many immigrant players are from Latin America. Luis Arraez, a second baseman for the Chattanooga Lookouts in Tennessee, said being unable to speak English in the minors is challenging but that his teams in the past have helped accommodate him and his teammates. 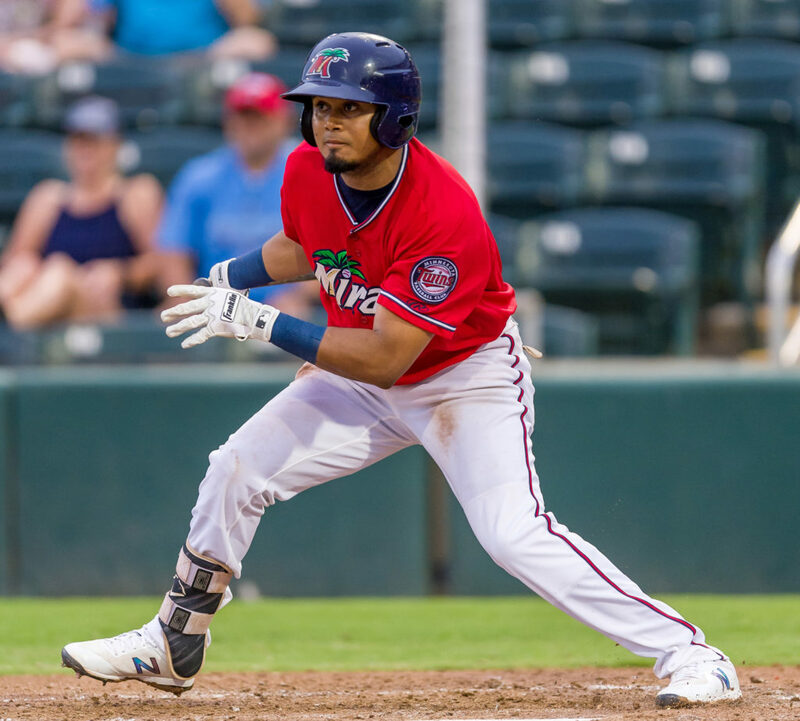 Arraez was born Venezuela and played for Magallanes in his native country before signing to a minor league contract with the Minnesota Twins in 2013 as a free agent. He has played in the United States for four years and is currently in his first year of living in the country with his wife and daughter. Despite the accomodations, life as a minor leaguer is still financially difficult for players like Arraez. The second basemen said there are few things the players don’t have to pay out of pocket for. Without much income, many Latino players struggle financially, especially those supporting their families back in their native countries. Eric Sim, a former minor league pitcher, said he had a teammate from the Dominican Republic who would use his $400 paycheck to send $200 back home to his family. Although the money helped his family, he would have to survive in the United States with half a paycheck. Many players go through these trials and tribulations of playing in the minor leagues in the hopes of reaching their dreams in the big leagues. Although many persevere despite the low wages, most players end up spending their entire careers in the minors with little to show for their work.